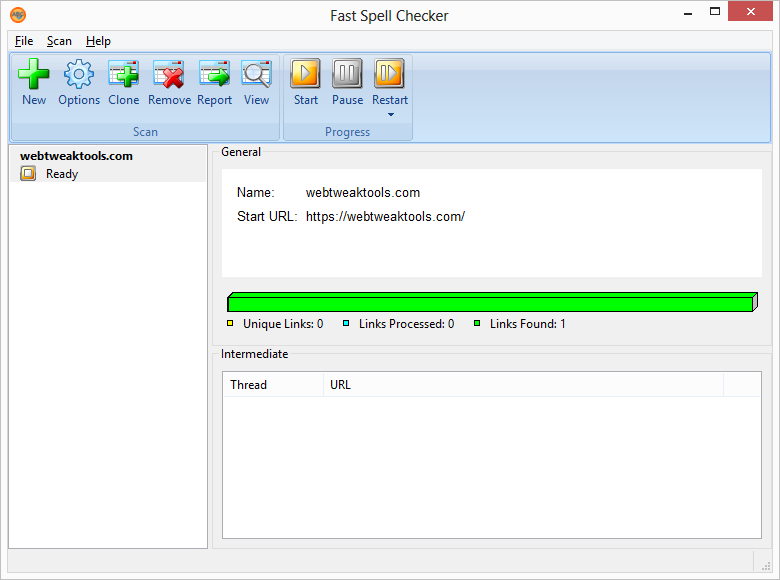 A tool used for searching sites for spelling errors. 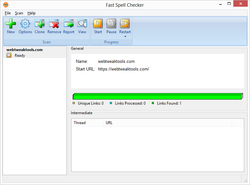 Fast spell checker 3.0 was available as a giveaway on June 10, 2017! How would you improve Fast spell checker 3.0? I downloaded it and it asks for an activation code, which I haven't received. ??? 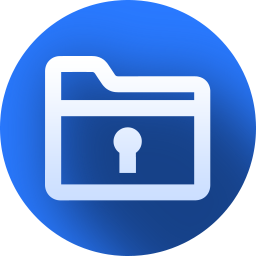 JeanLaFeet, Please look at the Readme included into the download package. Anyone have success with this program? I clicked New to add a website. Then clicked Start. It says it processed only one link! How do I get it to check the spelling on all pages? Anyone have success with this program? I clicked New to add a website. Then clicked Start. It says it processed only one link! How do I get it to check the spelling on all pages? Eric, Usually this happens when your first link redirects to another site. 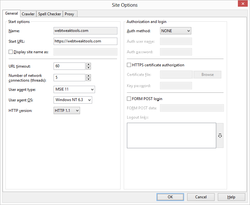 For example, if your first link is http and it redirects to https then it will not be followed because http and https sites are considered as different sites. Why would a word be forbidden? how does one SEE the list of forbidden words? how does one edit or add to the list of forbidden words? Why no GUI to create a user defined dictionary? Why no GUI to download and add new language dictionaries? Why no GUI to display the spell check results on any crawled page? We have to export a report and that only gives a poorly formatted list with missing fields! Poor program is now trying to spell check the giveawayoftheday.com website.... it is not a fast process, this website is quite large to say the least LOL at least it's not crashed but it does consume alot of CPU time! What is the purpose of: Ignore forbidden words Ignore words that are marked as forbidden in the dictionary Why would a word be forbidden? how does one SEE the list of forbidden words? how does one edit or add to the list of forbidden words? Why no GUI to create a user defined dictionary? Why no GUI to download and add new language dictionaries? Why no GUI to display the spell check results on any crawled page? We have to export a report and that only gives a poorly formatted list with missing fields! Poor program is now trying to spell check the giveawayoftheday.com website.... it is not a fast process, this website is quite large to say the least LOL at least it's not crashed but it does consume alot of CPU time! TK, Forbidden words are marked as forbidden in the dictionary. These words are usually not allowed on mainstream media. 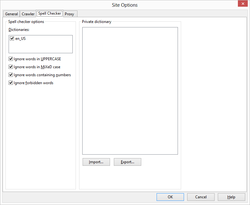 User/private dictionary can be created on the "Spell Checker" tab of the "Site Options" window. Extra spelling dictionaries are not included due to licensing restrictions. Spell check results can be viewed in the "View" sections as answered in the comment #11. TK, Forbidden words are marked as forbidden in the dictionary. These words are usually not allowed on mainstream media. 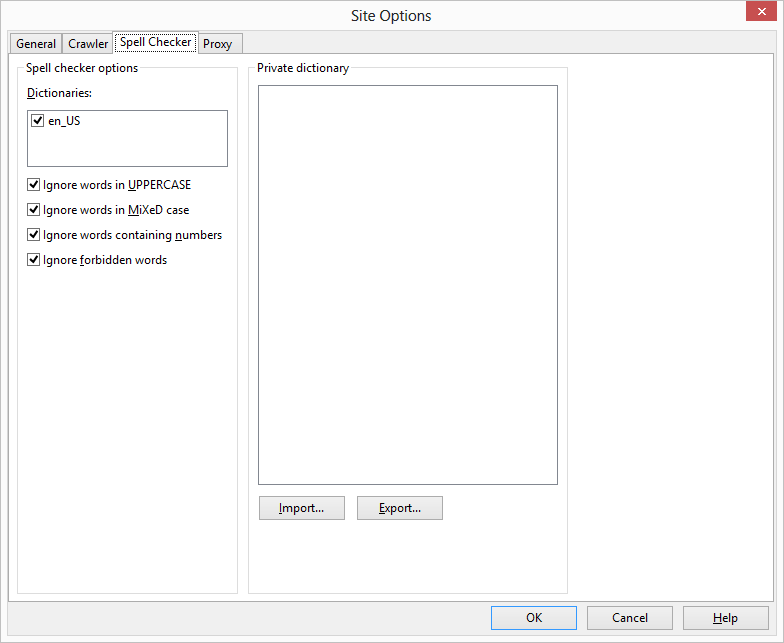 User/private dictionary can be created on the "Spell Checker" tab of the "Site Options" window. Extra spelling dictionaries are not included due to licensing restrictions. Spell check results can be viewed in the "View" sections as answered in the comment #11. WebTweakTools, again how can we see the list of forbidden words or update the list as political correctness goes more and more insane? user dictionaries CANNOT be created on the spell checker tab of Site options! They can only be imported or exported! They have to be created in some third party program to some kind of undocumented format and saved then imported in the Spell checker. So extra spelling dictionaries are not included due to licensing restrictions, then may I suggest you REMOVE from the setup program the entire form that STATES they are included! As that not only performs no function as nothing can be deselected from the installation or optionally installed. Everything on that form only has options to install on local hard drive or the entire feature and all subfeatures will be installed, no this will not be installed. Spell check results cannot be viewed via the "View" sections as NONE of the WORDS are displayed in the matrix presented in the View, Spell Check section! One can only see the words flagged in the matrix generated in the report and only on a one word per line with zero context since it is just a matrix of statistics and NOT a re-rendering of the original content with the claimed spelling errors rendered in red underlined with say a context menu to ADD to user dictionary, ADD to Banned word list, or Ignore. This should be relatively trivial to do since you do store a local database of the checked pages per site checked and can re-read the database at any time to re-render the pages. Also why can't we do ANY maintanance work on the dictionaries, user dictionaries away from the Site entries? We either have to reset an already crawled website entry OR create a dummy website entry to be able to have any Options setting become active! You are asking a significant fee for this software and creating a matrix report that is NOT easy to use to edit the user dictionary or locate the misspelt words in the original content and edit it does seem a bit counter productive at best. I have to ask if you have used the program to spell check any website pages that you have then gone on to edit and correct or add words to the user diictionary? Because from your responses it apears you are writing from a broken script and not from real experience with the program! WebTweakTools, again how can we see the list of forbidden words or update the list as political correctness goes more and more insane? user dictionaries CANNOT be created on the spell checker tab of Site options! They can only be imported or exported! They have to be created in some third party program to some kind of undocumented format and saved then imported in the Spell checker. So extra spelling dictionaries are not included due to licensing restrictions, then may I suggest you REMOVE from the setup program the entire form that STATES they are included! As that not only performs no function as nothing can be deselected from the installation or optionally installed. Everything on that form only has options to install on local hard drive or the entire feature and all subfeatures will be installed, no this will not be installed. Spell check results cannot be viewed via the "View" sections as NONE of the WORDS are displayed in the matrix presented in the View, Spell Check section! One can only see the words flagged in the matrix generated in the report and only on a one word per line with zero context since it is just a matrix of statistics and NOT a re-rendering of the original content with the claimed spelling errors rendered in red underlined with say a context menu to ADD to user dictionary, ADD to Banned word list, or Ignore. This should be relatively trivial to do since you do store a local database of the checked pages per site checked and can re-read the database at any time to re-render the pages. Also why can't we do ANY maintanance work on the dictionaries, user dictionaries away from the Site entries? 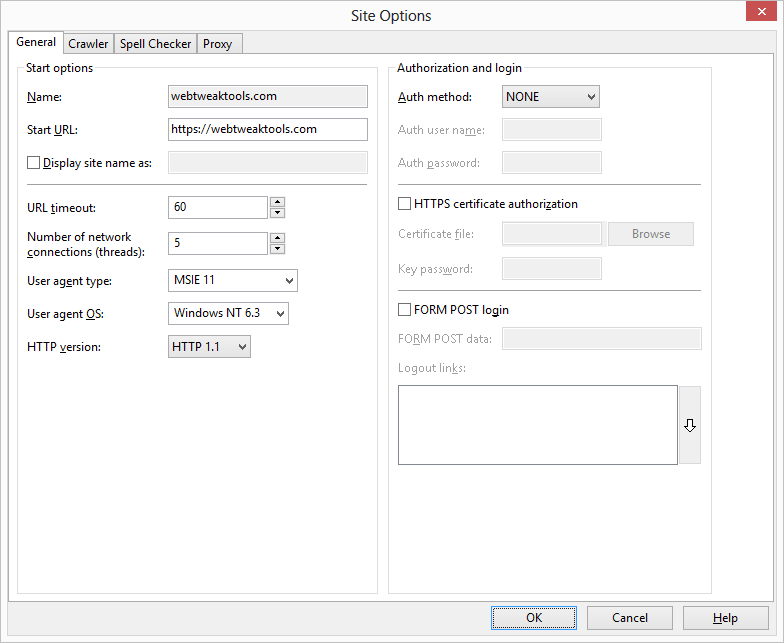 We either have to reset an already crawled website entry OR create a dummy website entry to be able to have any Options setting become active! You are asking a significant fee for this software and creating a matrix report that is NOT easy to use to edit the user dictionary or locate the misspelt words in the original content and edit it does seem a bit counter productive at best. I have to ask if you have used the program to spell check any website pages that you have then gone on to edit and correct or add words to the user diictionary? Because from your responses it apears you are writing from a broken script and not from real experience with the program! TK, Thank you for your suggestions, they will really help us to improve the program. Forbidden words are a part of dictionary. We can add an option to view them but editing forbidden words means editing dictionary itself. User/private dictionary is indeed needs to be editable from the options screen and from the "View" screen. It appears that the location of the list of bad words is not obvious, this needs to be changed too. The words are displayed if you click on the button near the "Bad words" label on the right pane of the "View" screen. Regarding extra spelling dictionaries, they cannot be included to the program. However, we are currently adding an option to download and install them automatically. TK, Thank you for your suggestions, they will really help us to improve the program. Forbidden words are a part of dictionary. We can add an option to view them but editing forbidden words means editing dictionary itself. User/private dictionary is indeed needs to be editable from the options screen and from the "View" screen. It appears that the location of the list of bad words is not obvious, this needs to be changed too. The words are displayed if you click on the button near the "Bad words" label on the right pane of the "View" screen. Regarding extra spelling dictionaries, they cannot be included to the program. However, we are currently adding an option to download and install them automatically. This is a program that I could really use as I often make new websites and checking spelling is not easy. Having said this I tested it on a few websites and it fails to find most of the website, in a site for 100s of pages it found about 34 pages. In another site about the same size, it found only one page. Bernard, It looks like you did not enable the dictionary in the list under the "Dictionaries" label on the "Spell Checker" tab of the "Site Options" window. I thought that I installed it but I can't find it or open it. The company never showed up to help so I guess that says what we need to know about them. I thought that I installed it but I can't find it or open it. The company never showed up to help so I guess that says what we need to know about them. brad, the company DID show up to comment but because the comments moderator took the rest of the day off after the first comment and its reply NO ONE could see, reply to or vote on any other comments untill after the next giveaway started! How many times have you been on a website that has spelling errors? "Weather" instead of "Whether" gave me the biggest laugh! Depending on the intent of the website, especially if it is promoting services, it may behoove the marketer to get it right the first time. If there are spelling errors on a website, do I want to use their services? Probably not. So I can see using this software to ensure that there aren't any spelling errors, no matter who wrote the verbiage (or the country of origin). If GotD's giveaways could be used for commercial use, I'd be tempted to install this software, and then offer a new service that finds and corrects website spelling errors. How many times have you been on a website that has spelling errors? "Weather" instead of "Whether" gave me the biggest laugh! Depending on the intent of the website, especially if it is promoting services, it may behoove the marketer to get it right the first time. If there are spelling errors on a website, do I want to use their services? Probably not. So I can see using this software to ensure that there aren't any spelling errors, no matter who wrote the verbiage (or the country of origin). If GotD's giveaways could be used for commercial use, I'd be tempted to install this software, and then offer a new service that finds and corrects website spelling errors. Actually this sounds as though it might be good for my granddaughter that's in college or perhaps for me if I have to write a business letter. However, I don't believe I would pay $40 for it. Thanks GOTD. Installed, registered, ran it on my WordPress blog, and although it reported 73 "bad words" there didn't seem to be any way to identify what they were and on what pages they reside. Looking online at the help page provided very little help. This might be a great program, but I couldn't see how to use it effectively, without or even with the minimal documentation. Uninstalled. David Bookbinder, You can find the list of bad words with their positions in the document in the "View" section. 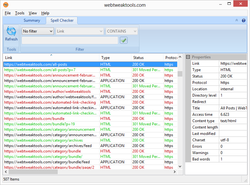 Click the "View" button on the tool bar, then select the page in the list. The "Bad words" link on the right pane will show number of bad words on that page. By clicking a button near the number, you can open a new window with additional information for each word. 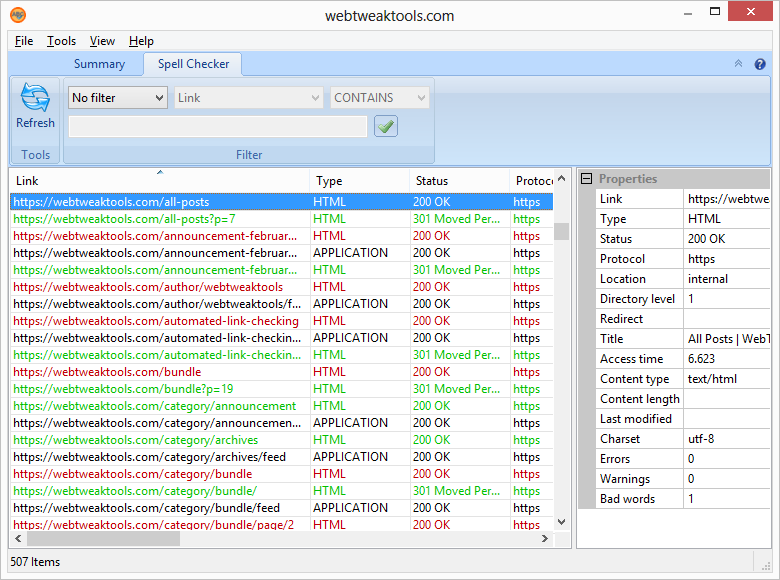 WebTweakTools, WRONG answer the "bad words" are NOT listed in the "View" section! Installed with all options selected for installation, but only en_US dictionary was installed! Where are the additional languages (International language support) that cannot be deselected during install? Or even just en_GB so we can have real English Spell checking! Let alone full international language support! The HTML report is a little confusing at best with the Errors, Warnings and Redirect columns all being empty on every entry! Installed with all options selected for installation, but only en_US dictionary was installed! Where are the additional languages (International language support) that cannot be deselected during install? Or even just en_GB so we can have real English Spell checking! Let alone full international language support! The HTML report is a little confusing at best with the Errors, Warnings and Redirect columns all being empty on every entry! why it is better for 50 USD than the free online spell and grammar checkers practically free. OpenOffice, but even Word has spell checker. I wonder why it is better. Gabor, Or even use the spell checker/spell checker plugin of the content authoring software when authoring the web pages to start with at no additional cost! W7, 64 bit. Installation is interrupted by unknown reason...most likely my firewall. Would love to have it. This is a must-have tool for niche professionals like me :) If it does what it claims, i will buy it! Thanks GODT and the dev. Waste of time! Have tried several different sites. Doesn't work. Options section has Spelling part and whatever i select, a dialogue box appears and say that required information is missing. What info is missing? Total waste of time. In virtual pc without firewall registration ok. User license, Your Updates & Support subscription has expired on 06.06.2017. In virtual pc without firewall registration ok. Registration is hardware-bound. User license, Your Updates & Support subscription has expired on 06.06.2017. How to use private language? I see a place to import dictionary but what type of dictionary and how to get it? Thanks for reading. I suppose this is just for english? Installed and activated without any issues (WIndows 10 Pro 64-bit). Ran it against an 800-page website, took a minute or so to finish the spell check, and generated an 8 megabyte HTML file that was very tedious to wade through (because it flags lots of things, such as file names, that you as a person would not regard as text meant to follow any spelling rules). But it does the job! Installed and activated without any issues (WIndows 10 Pro 64-bit). Ran it against an 800-page website, took a minute or so to finish the spell check, and generated an 8 megabyte HTML file that was very tedious to wade through (because it flags lots of things, such as file names, that you as a person would not regard as text meant to follow any spelling rules). But it does the job! TK, For a fifty dollar spellchecker, I'll use the free spellcheckers already out there and the not get the one trick pony. TK, Your post didn't have a spelling mistake it had wrong word (spooling) and no spellchecker proofreads word errors so why the example?